ISRO today made history by launching a record 104 satellites into space. It was a proud moment for the Indian space programme, which had taken hesitant steps into the space race many decades ago. ISRO today is the toast of all if India – it’s brought India laurels, accolades, and the grudging respect of its peers. And it’s made a tidy profit while doing so. Antrix, ISRO’s commercial arm, handles commercial launches for satellites. It was incorporated as a company in 1992, and launches satellites for foreign governments and private companies. It charges for these launches – from the 44 satellites for foreign countries that ISRO launched between January 2014 and December 2016, Antrix earned revenues of Rs. 693 crore. This translates to a an average price tag of Rs. 15 crore for each satellite launch. And crucially, ISRO makes profits on these launches. Antrix’s revenues and profits have been growing steadily over the years. Its turnover was Rs. 884 crore in 2009-2010, and it’s ballooned to Rs. 1924 crore in 2015-2016. Its profits have also kept pace, rising from Rs. 108 crore in 2009-10 to Rs. 209 crore in 2015-16. The list of countries for which India has launched satellites is also truly diverse. After today’s launch, Antrix has launched 180 satellites for 23 countries. US leads the list, but countries such as the United Kingdom, Netherlands, Luxembourg, Germany, Canada, and even Algeria have made use of ISRO’s services. Some of these satellites are for governments, while others, like the 88 Dove satellites sent today, are sent by private companies. Launching satellites is fast becoming a competitive industry – several companies like SpaceX’s Falcon 9, Russia’s Proton ULA, and Arianespace are big names in the space, and Jeff Bezos owned Blue Origin plans to enter the market in a few years. 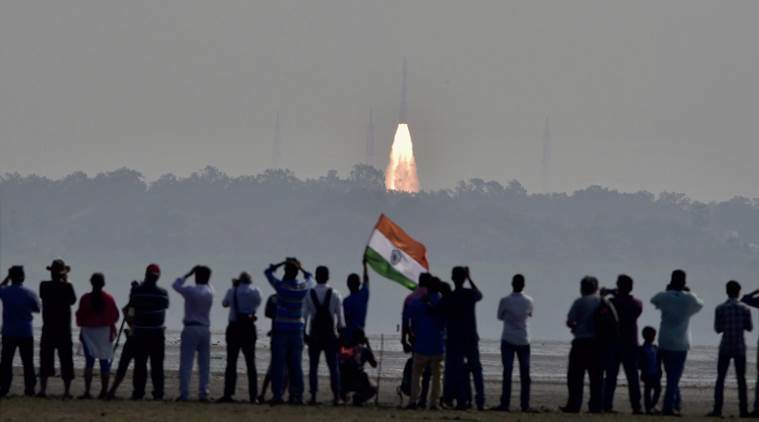 But Antrix provides competitive rates – ISRO launches cost a third of SpaceX launches, and ISRO has become somewhat of a specialist in launching smaller nanosatellites. ISRO’s location helps keep costs low – its Indian engineers earn a fraction of the salaries that engineers would command in foreign countries, and it helps that the company has the might of the Indian government behind it. ISRO’s success was never guaranteed. Around the time it had sent its first rocket into space in 1957, rival agencies were working on far bigger challenges – NASA ended up sending a man on the moon just twelve years later. ISRO had to also deal with geopolitics beyond its control – it had to face US sanctions through the 1990s, which prevented transfer of technology from Russia. But it persisted, and Antrix – which is the Anglicized version of Antriksh, meaning universe in Hindi – is now a major force on the world stage.